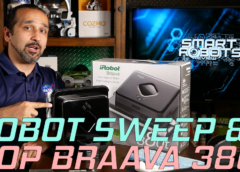 Reviewing Robotics and Fantastic Tech from around the world. Elias from Smart Robots Review reviews “CodeLab” – the easy to learn and use programming app for “COZMO”. Cozmo is the smart robot made by the robotics and artificial intelligence company ANKI. COZMO is available now in the United States and will be coming September 2017 to the United Kingdom. Special Thanks goes to Trey and Katelyn for their help with this video. You guys are great! DISCLAIMER: This description contains affiliate links, which means that if you click on one of the product links, I’ll receive a small commission. This help support the channel and allows me to continue to make videos like this. Thank you for the support! 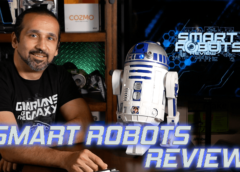 What is Smart Robots Review?